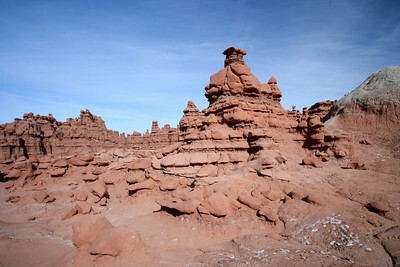 Hoodos of Entrada Sandstone in Goblin Valley State Park near Hanksvillle and Green River, Utah. 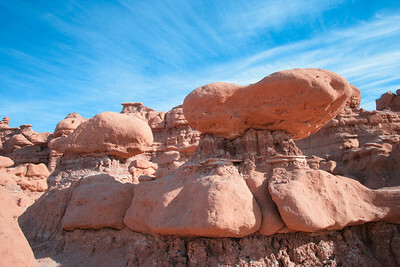 Boulders provide a leading line toward towering hoodos in Goblin Valley State Park near Hanksvillle and Green River, Utah. 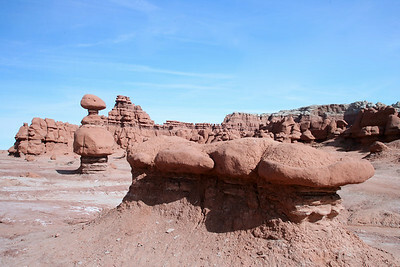 Hoodos in Goblin Valley State Park near Hanksvillle and Green River, Utah. Boulders frame Hoodos in Goblin Valley State Park near Hanksvillle and Green River, Utah. 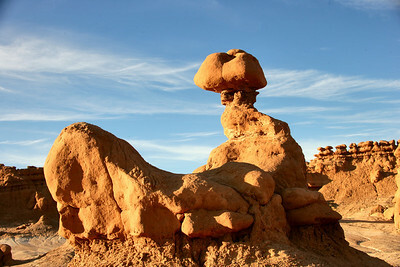 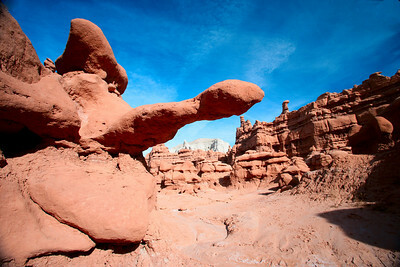 Erosion has transformed hoodos into magical shapes at Goblin Valley State Park near Hanksvillle and Green River, Utah. 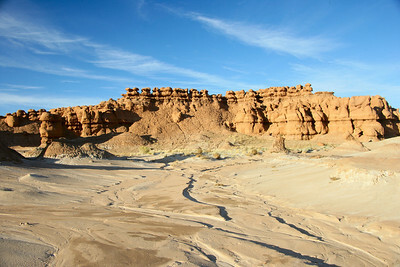 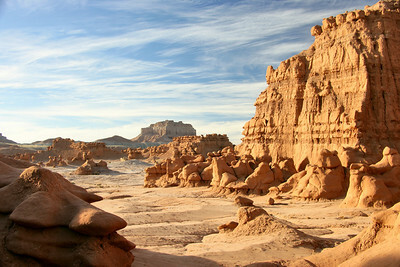 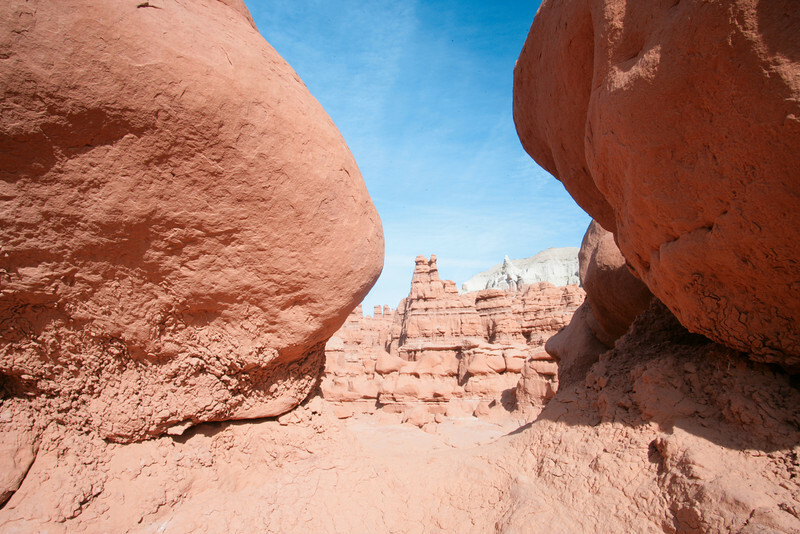 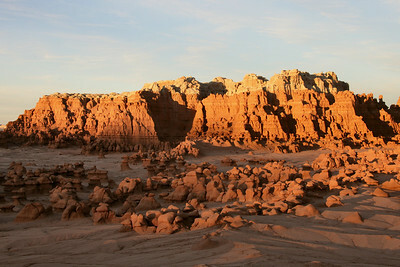 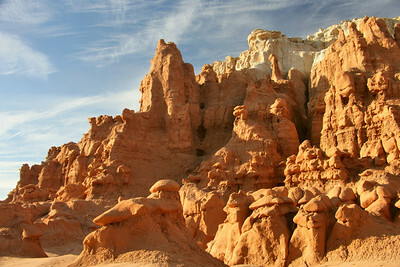 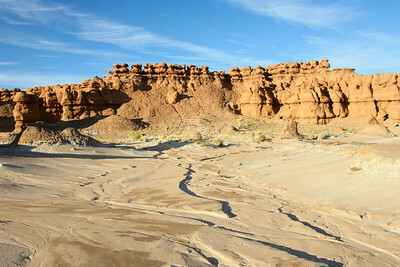 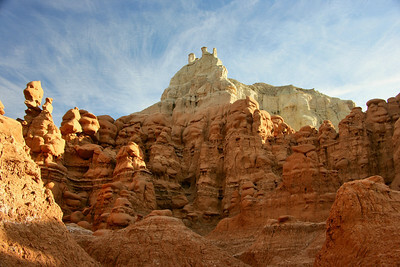 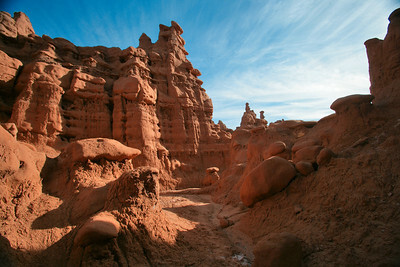 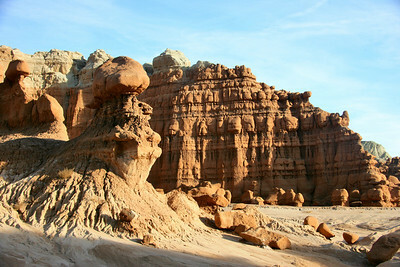 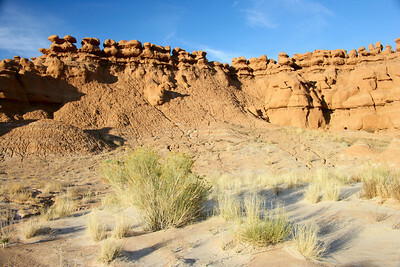 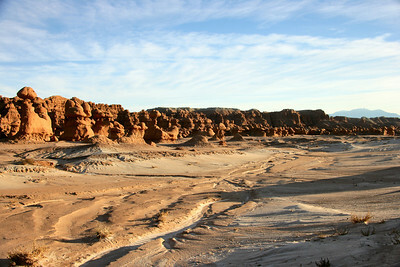 Myriad washes wind their way thru towering hoodos at Goblin Valley State Park near Hanksvillle and Green River, Utah. 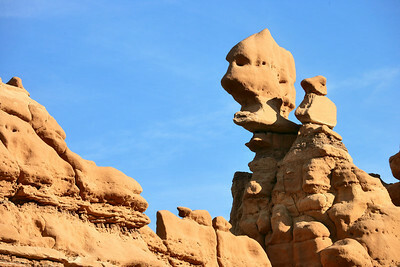 Humpty Dumpty? 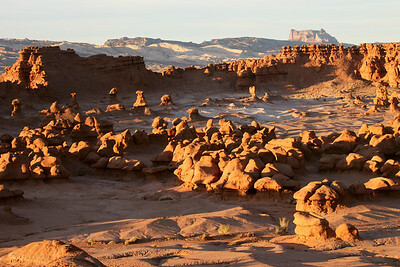 Erosion and gravity work together to shape towering hoodos at Goblin Valley State Park near Hanksvillle and Green River, Utah. 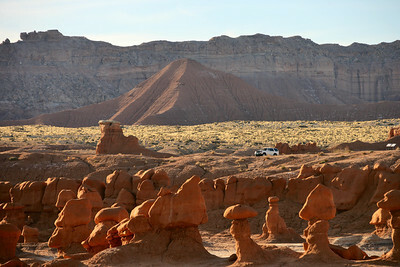 A goblin and his helper look over Goblin Valley State Park near Hanksvillle and Green River, Utah. 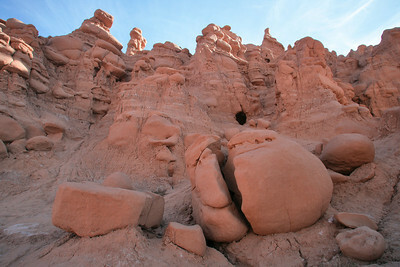 Towering hoodos at Goblin Valley State Park near Hanksvillle and Green River, Utah. 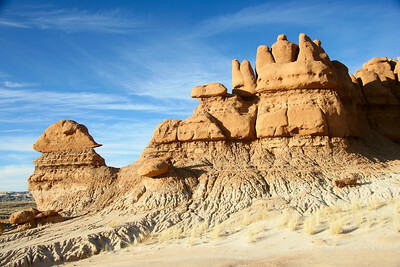 Towering hoodos in Goblin Valley State Park near Hanksvillle and Green River, Utah. 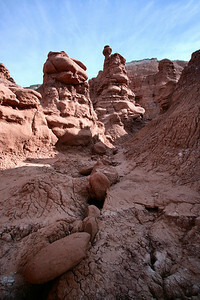 Towering hoodos line Goblin Valley State Park near Hanksvillle and Green River, Utah. 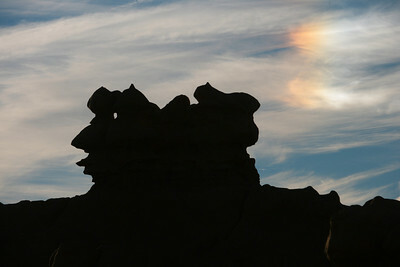 Sunlight reflecting off ice crystals in the atmosphere cause a 'sun dog' to forms above hoodos in Goblin Valley State Park near Hanksvillle and Green River, Utah. 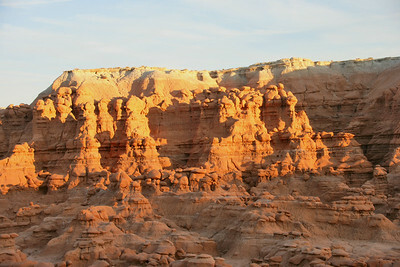 Towering hoodos at sunset in Goblin Valley State Park near Hanksvillle and Green River, Utah. 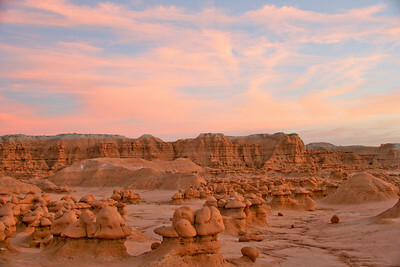 A colorful sunset warms the hoodos at Goblin Valley State Park near Hanksvillle and Green River, Utah.